Receive professional floor coating services from NSI Epoxy, who are dedicated to getting the job done right the first time. Count on our experts for your interior and exterior epoxy needs, capable of working on any project you or your company has. You choose the right company for epoxy floor coating services when you hire NSI Epoxy in Waterford, Michigan. Our focus is on applying high-performance floor coatings for all types of residential, commercial, and industrial properties. For your convenience, our services are available in Metro Detroit and the surrounding areas. To ensure your floor is properly coated, we apply a primer coat and allow it to cure overnight. We understand that applying a product correctly is more important than how strong it is. Skipping this step is detrimental to your floor, as we have seen in our more than 20 years of experience. We pride ourselves on giving our customers 100% quality whether the job is large or small. With over 20 years of experience you can be assured your job will be completed personably and professionally from start to finish. The success of our business was built on referrals. Contact us at (248) 882-4949 for an estimate on a new epoxy floor coating in michigan. 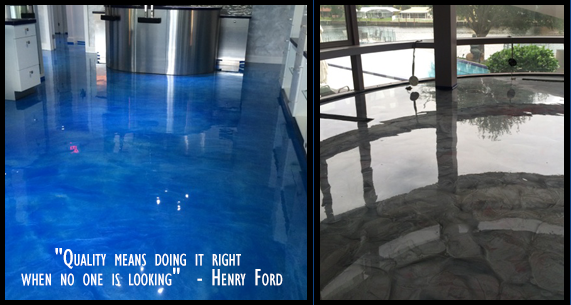 From concrete sealing to color changes we handle it all. Contact us to request an estimate on our durable epoxy floor coatings and diamond grinding.